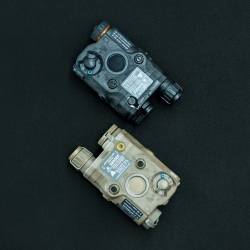 This product is regulated by ITAR. 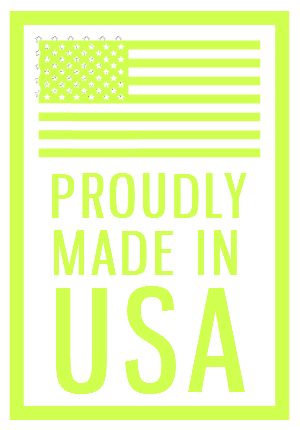 It can only be shipped in the USA. 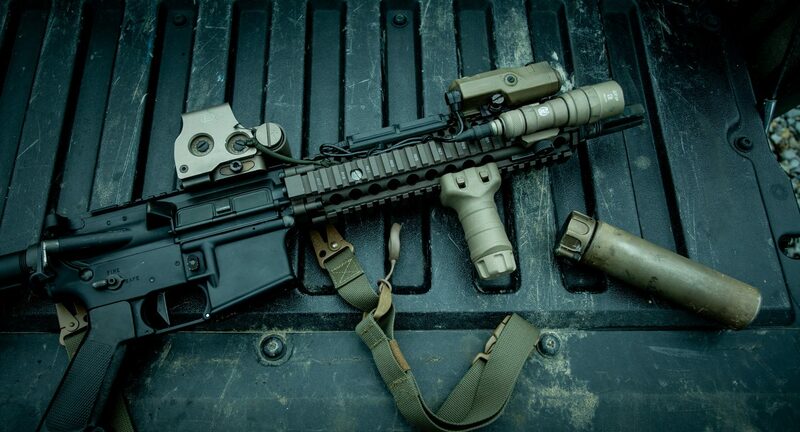 Sometimes optics come down to personal preference. 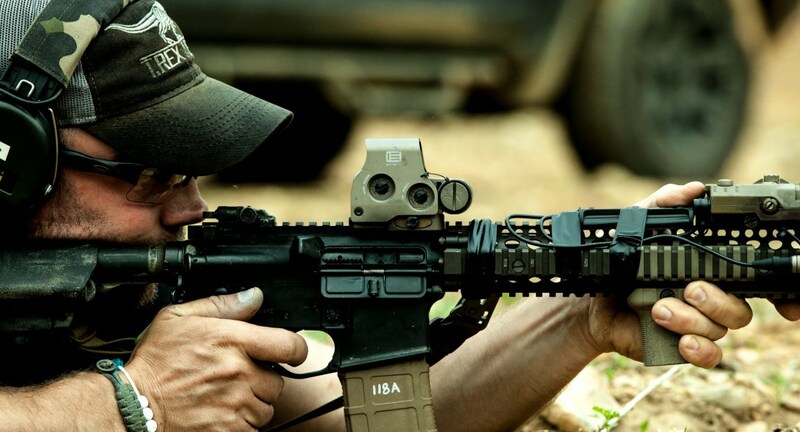 Our two red dot choices for carbines are the Aimpoint T2 (or M5) and Eotech series. 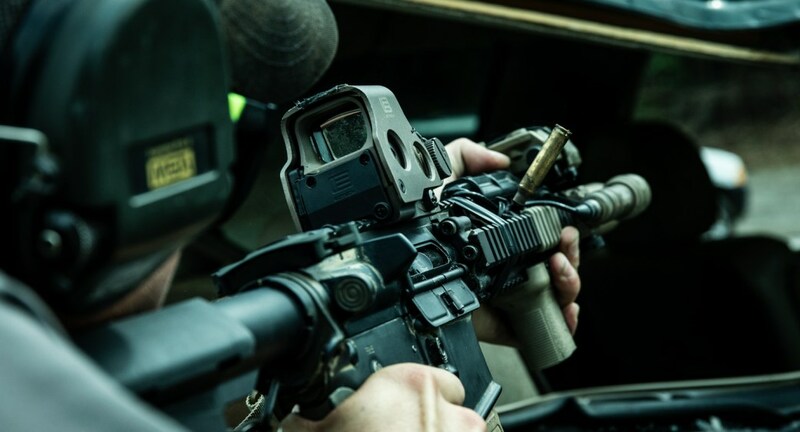 The Eotech has the clearer glass of the two options, which becomes particularly useful when engaging at longer distances. 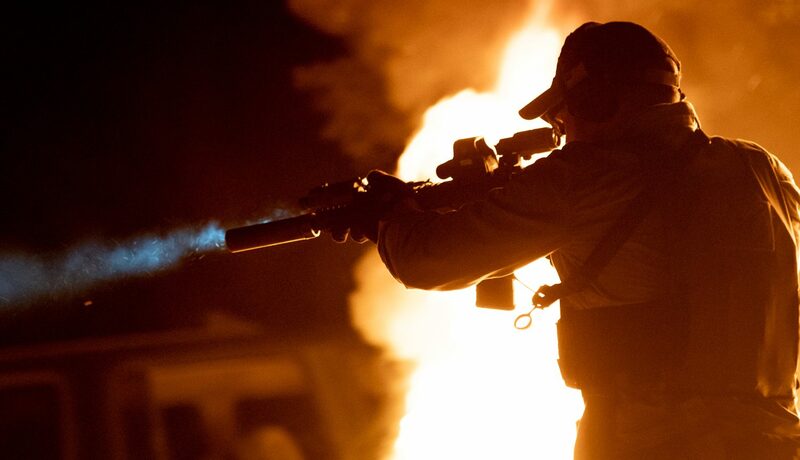 The EXPS3 sits at a lower 1/3 co-witness height. Back up ironsights can be seen inside the window, but in the lower 1/3 of the optic. 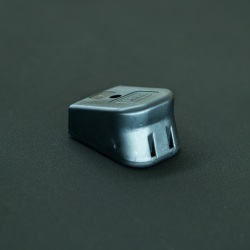 Buttons on the left side allow you to toggle through the 20 daylight brightness settings, and the NV button switches to a dim mode for use with night vision. 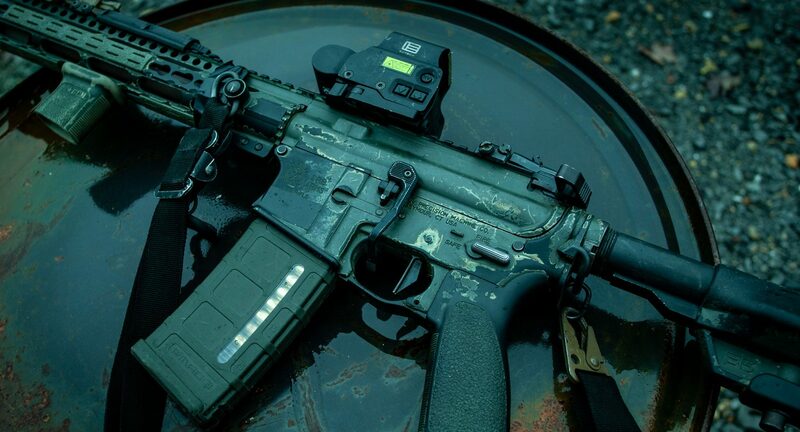 The optic can be seen in NV mode by either running a PVS-14 mounted to the rail behind the Eotech, or by getting a cheekweld while running bino NODs. 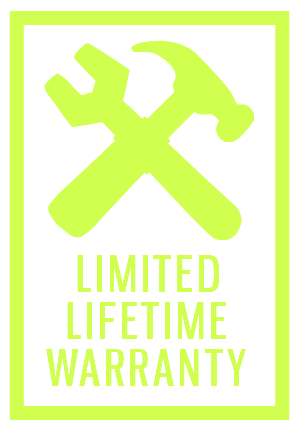 Runs on a single CR123A (1 included). 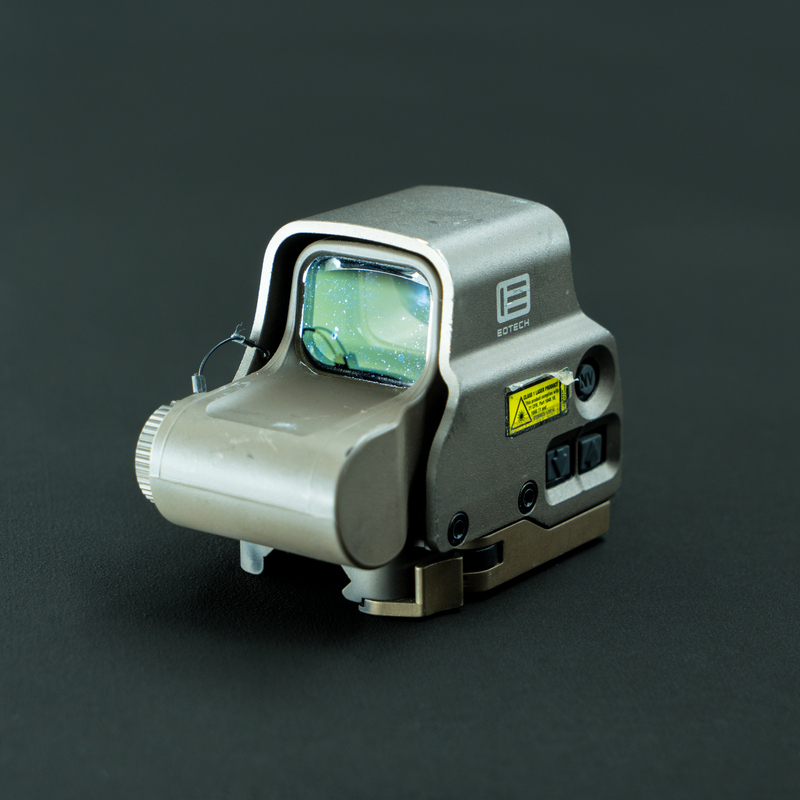 The EXPS3-0 features the standard reticle with 68 MOA bullseye ring and 1 MOA center dot. 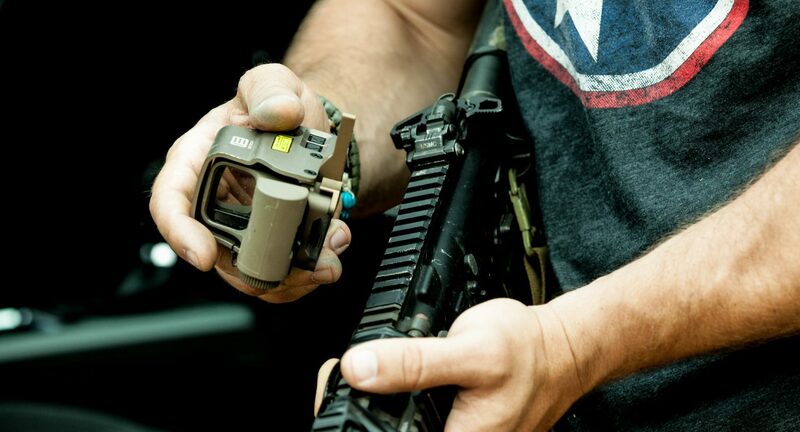 How does the EOTech EXPS 3 compare weight-wise to a T2? 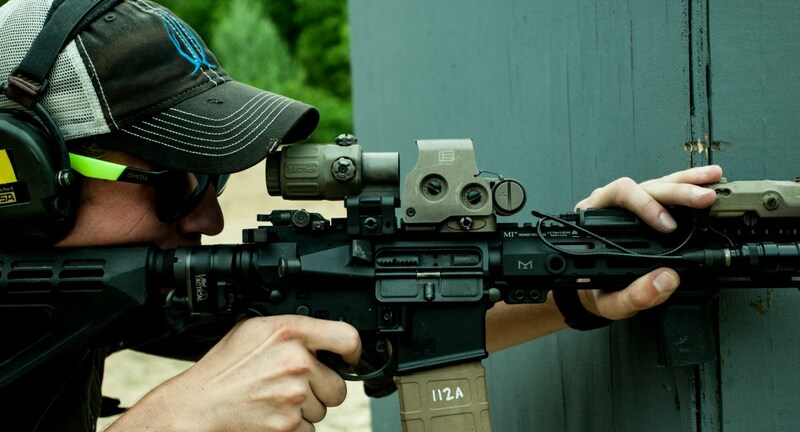 A T2 with a Scalarworks LEAP is 4.97oz, the EOTech EXPS3 is 11.2oz. So you can’t leave the optic on all the time. Is this a problem for home defense? What’s the auto shut off like? It could be. 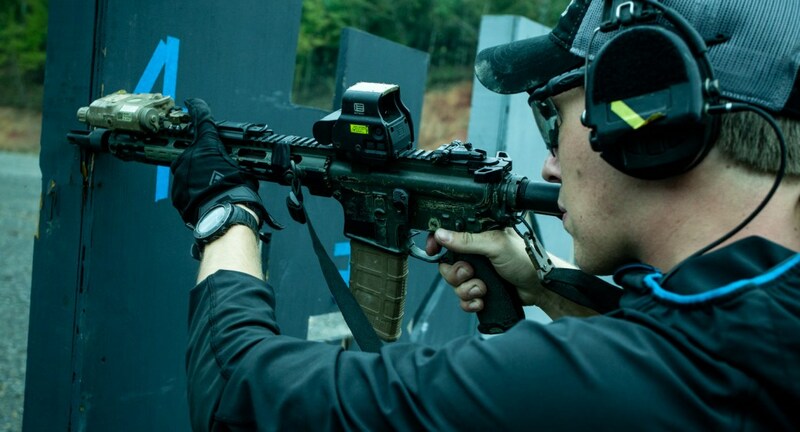 The EOTech is definitely a more intensive product. 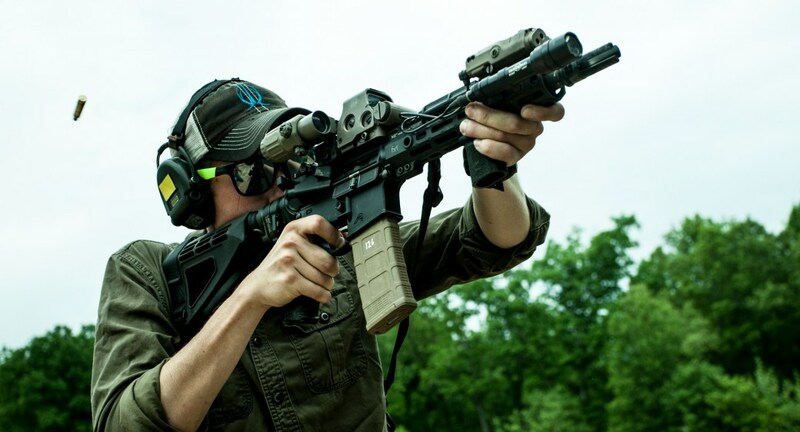 You have to manage it more than an Aimpoint. If you turn on/adjust the optic with the up arrow brightness setting, the auto shut off is 8 hours. 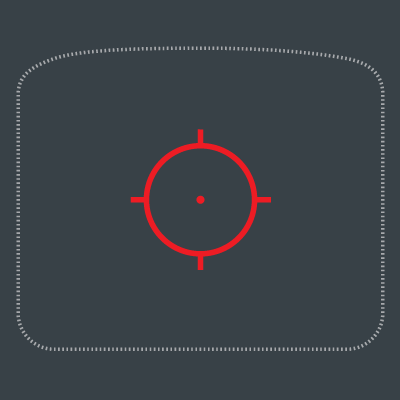 If you turn on/adjust the optic with the down arrow brightness setting, the auto shut off is 4 hours. The 8/4 hour shut off is toggled by the last push button used. And resets once a button is pressed. Pretty cool actually. How clear is the glass? 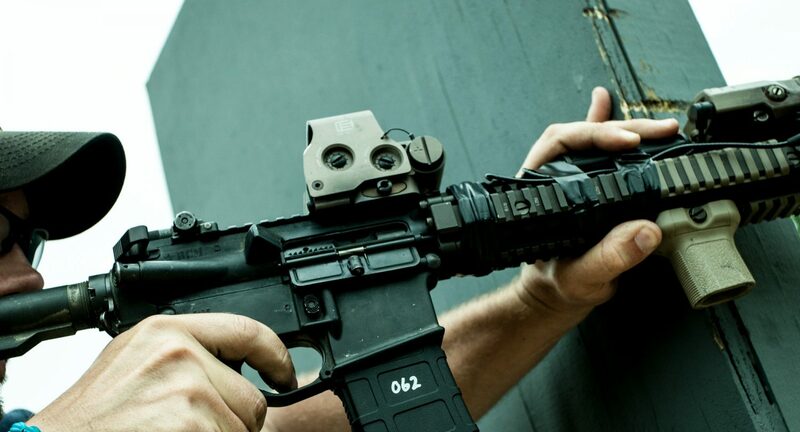 The EOTech series appears to be the clearest glass of any optic right now. In our opinion. Making it very handy for longer range shooting. Combine that with the crisp 1 MOA center dot and you’re golden. 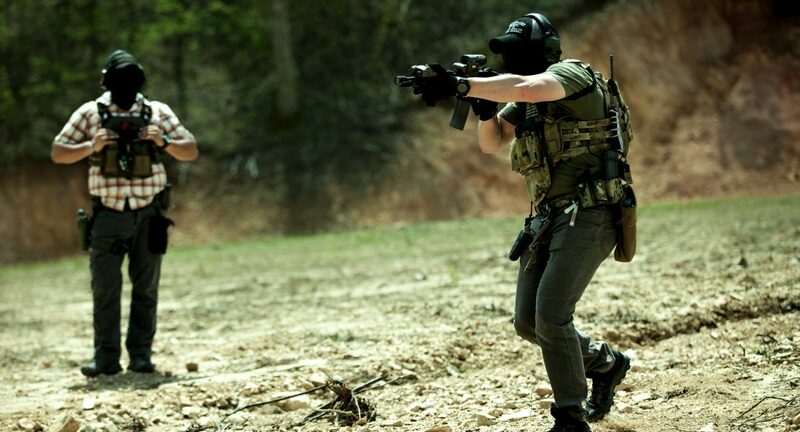 Are the EOTechs good now? Wasn’t there some sort of scandal? There was. The responsible parties were dealt with, and reparations were made to both the military and commercial market. The question shouldn’t just be: “Was there wrongdoing?” The question should be: “How was it dealt with? 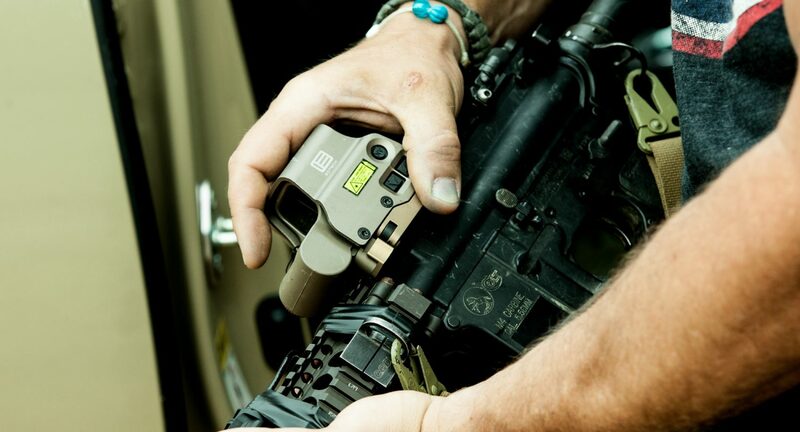 Were things made right?” If things hadn’t been made right, we wouldn’t be selling EOTech products. 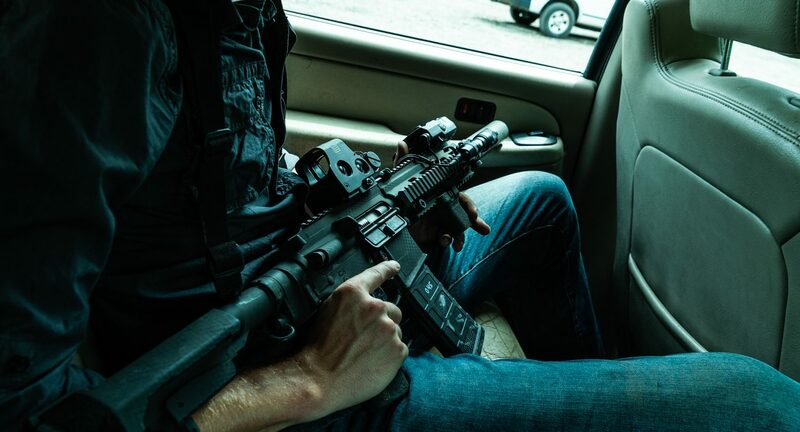 The EXPS3 features a built-in QD locking system that mounts to regular M1913 rail. Make sure the QD is tight to the rail. 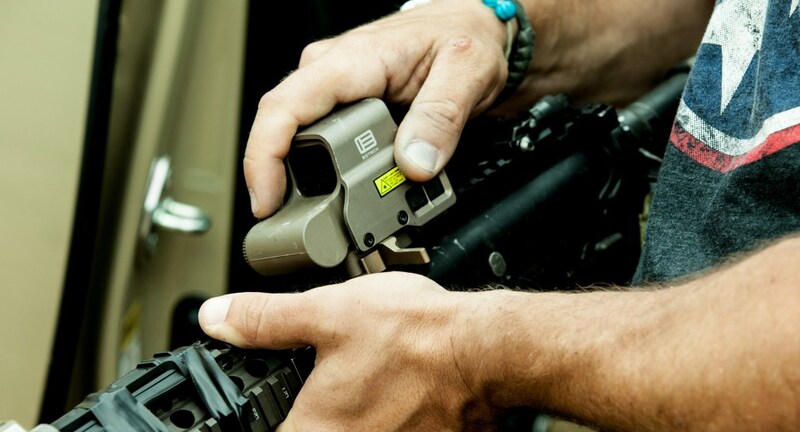 The screw on the opposite side can be loosened or tightened for proper adjustment. 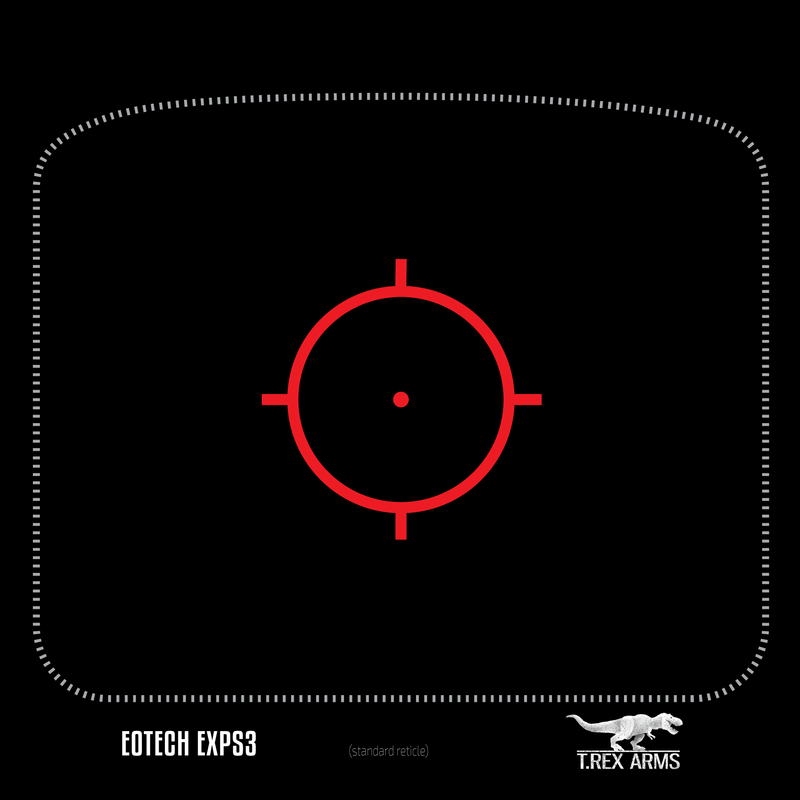 The EXPS3 has 0.5 MOA clicks. Two clicks will move your point of impact 1″ at 100 yards (91m). Don’t worry. We don’t ship them out looking like this. Mounted to a 10.3 build. The G33 magnifier complements the EXPS3 nicely. Compact little build, but with a lot of capability. 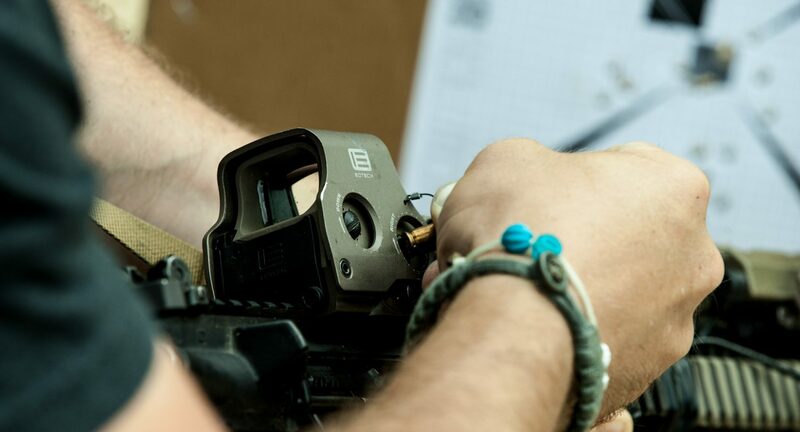 EXPS3 versus the Aimpoint T2 with Scalarworks LEAP mount.